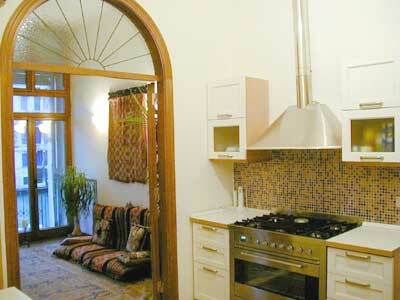 Venice Rental, rent a Venetian apartment flat for your holly days and your tourist vacation rentals. Grand Canal small living room. The apartment has two bathrooms in marble surfaces. Grand Canal, first double bedroom, memory foam. Second double bedroom. Grand Canal, entrance room. 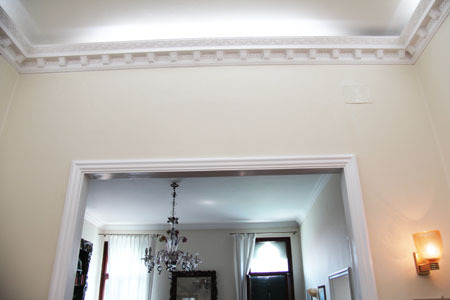 Moon Light: decorative ceiling. Grand Canal, decorative ceiling. 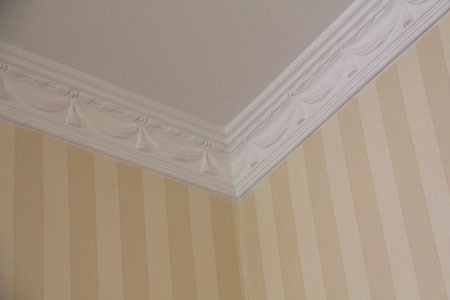 Particular: bedroom decorative ceiling.